In 2012, Monash Investors was established by one of Australia’s most experienced fund managers in Simon Shields, the previous head of equities at both UBS and CFS, and Shane Fitzgerald a senior equity analyst from UBS and JPMorgan. The firm was set up to manage money in a way that both Simon and Shane felt was simply smarter than riding the share market up and down, instead, attempting to achieve targeted positive returns of double digits p.a. after fees, over a full market cycle while seeking to avoid loss of capital over the medium term. (see our performance here). Importantly, it was the experience gained across multiple investment styles and in seeing the pitfalls in managing very large pools of capital that shaped the way the Fund is managed today. 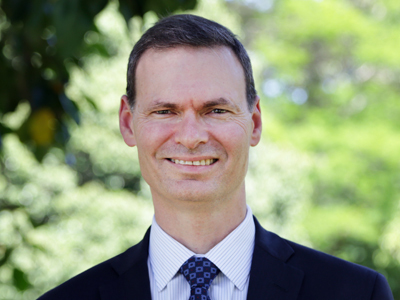 Simon is one of Australia’s leading fund managers with over 30 years of industry experience and most recently, having been Head of Australian Equities at both UBS Global Asset Management (Australia) Limited (UBS) and Colonial First State Limited (CFS). Simon has been a member of and/or led mulit-award winning equity teams across a range of investment styles. He holds a Bachelor of Commerce with Honours, Bachelor of Law, Masters of Business Administration and is a Chartered Financial Analyst. Simon commenced his career as an analyst with Westpac Investment Management Limited (now part of BT Investment Management Limited), before moving into a portfolio management role. In 1995, he moved to Rothschild Australia Asset Management Limited as a Portfolio Manager, responsible for value-style Australian equities. In March 1998, he joined CFS as a Senior Portfolio Manager, responsible for growth style Australian and New Zealand equities, before becoming the Head of Australian Equities in January 2004. In July 2007, he moved to UBS as Managing Director and Head of Australian Equities and in 2011 also took responsibility for the ING Investment Management Limited Australian equity team. In 2011, the UBS Australian Share Fund, which was managed by Simon, received the 2012 Money Magazine award for the “Best of the Best”. Simon is a director and co-founder of Monash Investors. His role includes research, analysis, dealing and investment management of the Monash Absolute Investment Fund. 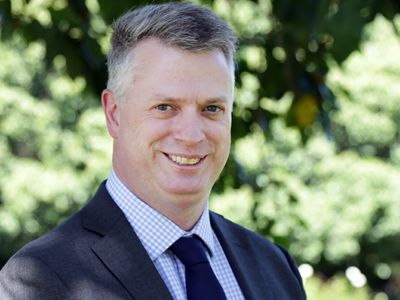 Shane has over 25 years of financial services experience working for JP Morgan, UBS and Monash. He holds a Bachelor of Commerce with Honours in Economics. Shane commenced his career at JP Morgan Securities (Australia) as an analyst, before moving into a senior research analyst role and eventually becoming the Head of Insurance and Diversified Financial Research, as well as an Executive Director. In February 2008, he joined UBS Global Asset Management alongside Simon in the Australian Share Fund as a director and investment analyst. Shane is a director and co-founder of Monash Investors. His role includes research, analysis, dealing and investment management of the Monash Absolute Investment Fund. At the 2014 Hedge Funds Rock & The Australian Hedge Fund Award dinner, Monash Investors was recognised for its innovative approach by being nominated for the Best Emerging Fund for 2014. It was very pleasing to receive this recognition from our Industry peer group this early in the Fund’s history. In establishing Monash Investors, we also chose to work with only the highest calibre service providers to provide our investors with a strong layer of fund governance and risk management. As co-investors in the Fund, Simon & Shane have a major stake in its success; this is more than a job to us – this alignment of interests’ serves as a major point of difference when compared to most funds managed in Australia today, where fund managers are paid bonuses based on how well they have done against an index return, even when the fund they manage may have produced a negative result – this type of reward structure is unacceptable to us, as it is not aligned to the way we believe investors want their wealth managed.